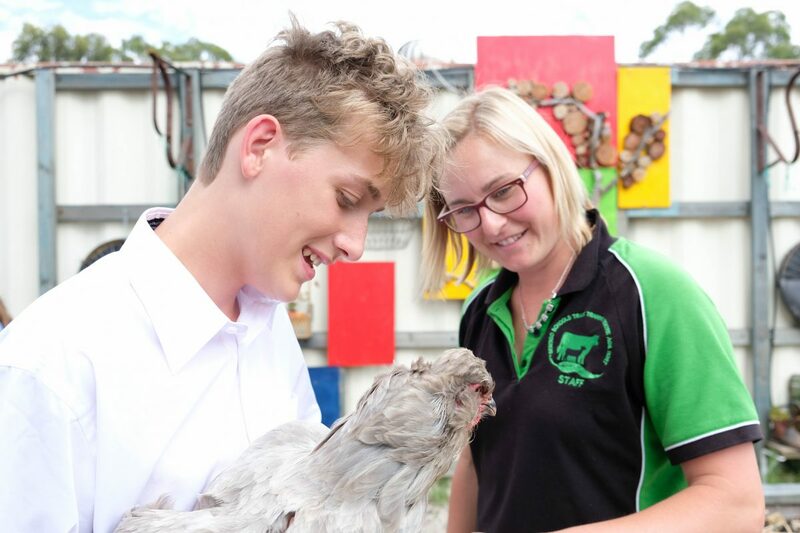 Catherine McAuley College’s Learning Enrichment Team is dedicated to assisting students with additional needs to experience success and achieve their personal best. A range of support methods are employed to help students who may have language and/or cognitive difficulties, physical disabilities and specific emotional and/or social needs. The team is located at both campuses and includes specialist teachers and learning tutors in consultation with classroom teachers and the College Wellbeing Team. Students are supported to develop an individualised program that suits their abilities and interest areas. Additional support for transition includes extra transition days, parent meetings, consultation with Grade 6 teachers, discussions with health professionals, examination of diagnostic reports, and development of the personal learning plan. The Learning Enrichment Team coordinate the Literacy and Numeracy testing of all prospective and current students, and are consulted during the enrolment process to determine what programs and supports need to be available for students. Some students with additional needs may qualify for funding. Funded students will have a support team in place, which includes class teachers, parents, year level leaders, learning tutors and learning mentors. The group devises a Personal Learning Plan (PLP) with the aim of allowing students to achieve personal success through a strengths-based approach. In the Catholic Education System, students may be funded within the following areas: Social/Emotional, Hearing Loss, Vision Impairment, Health Impairment/Chronic Illness, Intellectual Disability, Language Disorder and Autism Spectrum Disorder. Catherine McAuley College offers a broad range of subjects and program pathways to cater for students with additional needs. As students advance through the College there are more choices available, from elective choices in Year 8 to planning Victorian Certificate of Education (VCE) or Victorian Certificate of Applied learning (VCAL) pathways in Years 10 – 12. Vocational Education and Training (VET) subjects are also available, which develop skills that carry through to the workplace. The College is committed to working closely with students and parents, to work towards each student’s personal success in life beyond school.